The summer has gone. It means that you may relax and taste sweets of different forms and sizes. 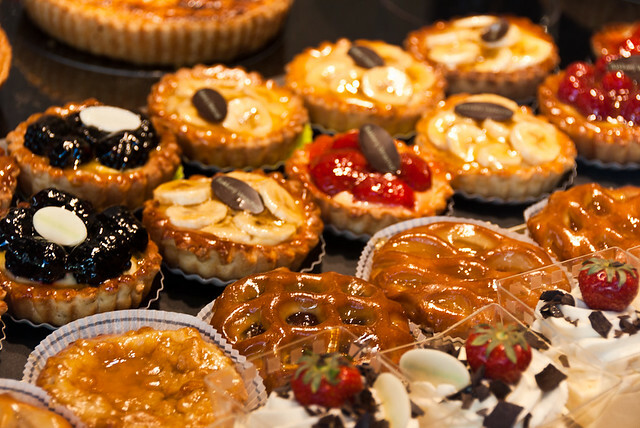 Barcelonans know everything about confectionary products – bakeries and confectionaries. If you want to have substantial dinner in the prestigious restaurant, you should order it beforehand. Do not worry! You can always visit one or another bakery. They are everywhere in the city. It is time to learn the number of TOP popular confectionaries of Barcelona, where you can taste amazing croissants, cakes and donuts. Roll up! This is the confectionary of prestigious culinary school of May Hoffman. This is the right place for everyone, who likes croissants. The croissants from this bakery are popular all over the city. Moreover, they are the best in Spain. What croissants do you like? Try classic variant or strawberry, mango and mascarpone fillers. Croissants are the best food for breakfast or picnic. Pasteria is a unique cafe. Look around! There are many sweets of different sorts here. This confectionary was awarded with Michelin star, confirming the high quality of products: cakes, cookies, candies, confitures. You should not control yourself. Just sit in the cozy armchair and order something with the cup of aromatic tea or coffee. This popular confectionary is family business of Escriba. This is a place to produce bread and pastry for ages. Welcome to the bakery and little cozy cafe on the second floor. You can see a lot of interesting and impressive tasty masterpieces here: chocolate animals, shoes collections and macaroons. In short, this is the place for creating new and new impressive masterpieces of chocolate art. The first Choc confectionary was opened in 2013. This is a space of ex-chocolate shop with the modern architecture. You can buy tasty donuts here. They are more than 13 sorts. You can also buy truffles, cakes, macaroons, churros, hand-made candies and many other tasty things. This is not the end. You have a chance to watch the procedure of candy making. Lukumas means donuts. This little cafe gathers crowds of people in the center of the city. 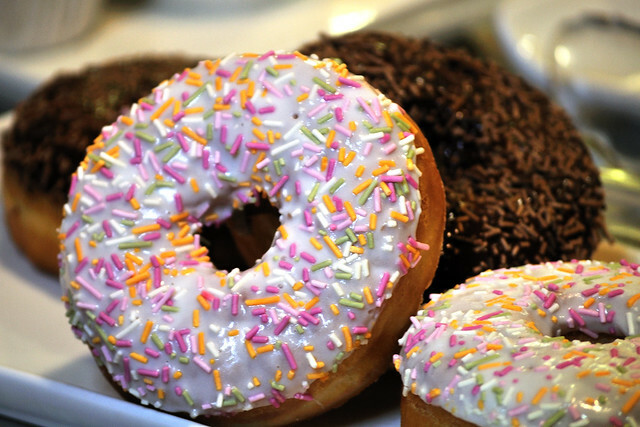 If you like fresh donuts and aromatic coffee – you are at the address. They are different: round, oval, square, double filled with cream, chocolate, strawberry or concentrated milk. Never forget to buy a couple of sweets for present. The chain of popular confectionaries in Barcelona is called Boldu. They are popular since 1939. The pastry is made according to family recipes and fresh ingredients. The world-popular Boldu creature is Bolduman – tasty donut that is done in form of little man. Kids from all over the city come to Boldu to buy it. You can also hire a car in Barcelona and follow the way of tasty pastry. Farga is a restaurant of high class cuisine and amazing confectionary, where locals used to go for mini-cakes, croissants, tartlets, eclairs and cheese cakes. There is nothing better than the dozen of tasty cakes in the box in your hands. You can take sweets with you or stay in the cafe to eat them with the cup of coffee. Do you like coffee? 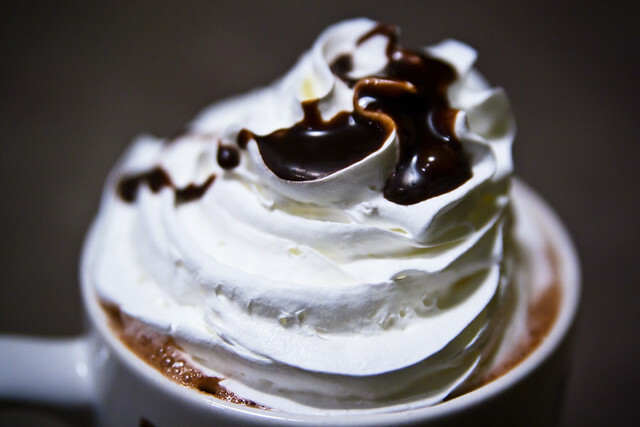 Do you like hot chocolate? If you like hot chocolate, you should go to Granja Dulcinea. This is a historical place with good reputation and cooking experience. What a great idea to come here with your family! 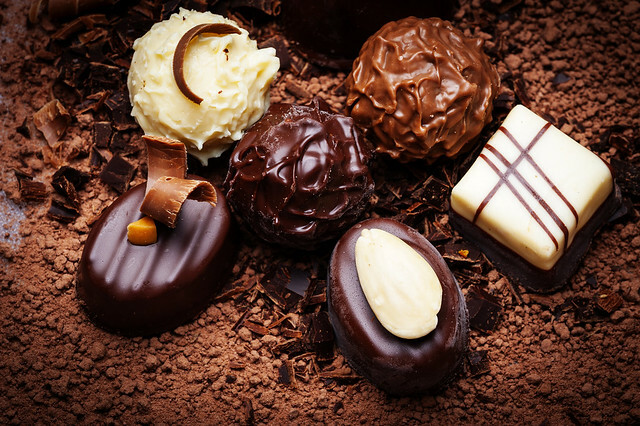 The chocolate is made of natural cocoa. The chocolate drink is special. It is deep and aromatic, like chocolate from the childhood. Smell it! The air is sweet and tasty. Thus, this cafe is favorite place for all chocolate lovers. Caelum confectionary is located in the gothic building on the ground floor. It looks epic! The walls and floor are made of bricks and stones. The ceiling is heavy and tall. There are many candles everywhere. What a great pleasure tasting sweets in this atmosphere. Look there: wines, cookies and other sweets are made by monks from all over the country. All sweets are made according to the old traditions and secret recipes. The next tasty place in Barcelona is Bubo. It is highly popular place for many local gourmands. There is a reason for that. The talented and creative Catalonian chef Carlos Mampel makes the tastiest candies in the city. Of course, it is all about chocolate candies, including chocolate drops, macaroons and marshmallows, impressive cakes and boxes of cookies. What do you think about salty cookie – fleur de sel? It tastes great! Oh, never forget to take something for souvenir! This is one of the best pastry shops in the city. Actually, this is a shop and a pastry all together. The assortment is wide. This is the favorite place for breakfast. It is really pleasant to taste croissants and a cup of coffee. What about their popular tunny pie? Whant some bread? Welcome to the shop. The bread is fresh and aromatic here. The next popular place in Barcelona started work in 1820. This is the best elegant place in the city. Are you going to give a visit to your friends or relatives? It is time to buy something tasty for present. You can find a lot of different tasty sweets here, including fruit pies and hand-made cakes. Of course, the prices are high. Nevertheless, the cakes are worth your money. The pastry of Escriba brand is inspired and impressive. You can find two shops of this brand in Barcelona. Come to the shop in the evening. The choice is badly small in the evening because tourists buy everything during the day. It is better to come to pastry shop in Gran Via – the assortment is wide and it is enough space to spend time there. Barcelona is right place for all sweet lovers. This is the tastiest city in Spain: cakes, donuts, candies, croissants and different pastry. In short, Catalonians know everything about sweets and sweet pastry. It is very easy to taste sweets in the city – follow the map and visit one of many tasty cafes all over the city. By the way, they are not shops to buy sweets, but also cafes to enjoy the tasty pastry.